ConBuild Vietnam 2010, staged in Hanoi from 1 to 4 December, proved to be an event that strengthened links between Vietnam and overseas specialist suppliers of construction equipment, materials and services, forging new working relationships and generating new orders and business. In the four year history of the event ConBuild has consistently proven its strengths emerging as Vietnam’s leading platform, with over 200 exhibitors from 21 countries including national pavilions from China, Germany and Singapore. The high-profile international exhibition and conference was organized by MMI Asia Pte Ltd in association with the Ministry of Construction, Socialist Republic of Vietnam and with the participation of almost 30 other ministries, departments, trade and professional associations, and chambers of commerce. For many of the companies represented at the exhibition, this was their first step into Vietnam and they were looking for agents and distributors. Christine Moog, president of the German specialist Moog, which supplies bridge structure testing technology, said this was their first move into the Vietnamese market and that the company was looking for a dealer. Mark Lim, of Singapore-based Scanan Engineering Supply and Services, said that the company’s access equipment and scaffolding was manufactured in China and that they were in Vietnam to learn about the market, which he said was very promising indeed for his company. Managing director of HD Trading and Consulting Helmut Dicknuther said that his company was representing five specialist suppliers of building materials and components, three of which were from Germany, one from Italy and one from China. The exhibition, he said, was an ideal opportunity for them to investigate the market and to find agents. For other exhibitors, already established in Vietnam, ConBuild was the ideal occasion to invite customers and potential customers onto the stand and have them meet company personnel to discuss possible ventures. Liebherr, the German manufacturer of crawler cranes and foundation equipment, has been a regular supporter of the exhibition, and their Vietnamese manager Tran Nhan Te said that they were in discussions with new and regular customers regarding the purchase of new equipment for next year. Other manufacturers of heavy equipment such as Dynapac of Sweden, which manufactures road rollers and pavers, and Volvo, also Swedish and a specialist in earthmoving equipment, already enjoy healthy sales in Vietnam and were at ConBuild with large outdoor displays and spent much time in discussions with government and private sector personnel. 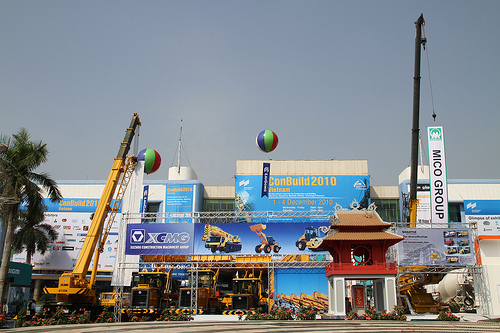 Chinese companies had a large representation at the show, both on the Chinese pavilion, which was largely devoted to manufacturers and suppliers of components and materials, and on the outdoor area, where Liugong, one of the country’s biggest manufacturers of heavy construction equipment, had one of the most impressive exhibits. The international conference organized alongside ConBuild suggested technical and engineering solutions for Vietnam’s construction and building industry, as the national infrastructure programme gathers pace. 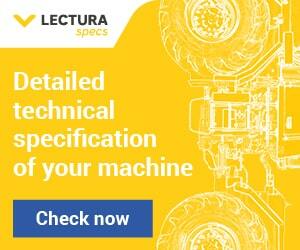 The programme was designed as a two-way industry flow, so as to keep both the international community and the Vietnamese public and private sectors fully advised of the latest developments, projects, and state of the art new innovations and technologies that are relevant for the industry to build on. The conference included a presentation from the CST on new developments in Vietnam’s construction sector, and the Vietnamese Ministry of Labour described ways in which working conditions are being changed and improved within the construction industry, MMI Asia rotates the exhibition on a yearly basis between Hanoi and Ho Chi Minh City, and by participating on an annual basis, exhibitors are able to raise and maintain their profile in both the North and South of the country. Consequently, ConBuild Vietnam 2011 will be held from 7 – 10 December in Ho Chi Minh City.